The Volkswagen Kombi holds the record for the longest production for a van, lasting all the way from 1949 to 2013 to span 64 years in its various guises. It feels like this is how long we’ve been waiting for its replacement, and VW has teased us yet again this week with the ID Buzz Cargo. Revealed at the Commercial Vehicle Show in Hannover, Germany, there are a number of interesting features about the Cargo, but perhaps the most noteworthy titbit of information to come out of the show is its intended production date. VW let slip it intends to launch the Cargo version of its new age, reinterpreted microbus in 2021, which is a full year ahead of when it has previously said the passenger model will go on sale. While some might question why the Cargo will hit the road before the passenger model, the answer is simple. A van model requires less work as it has a stripped rear that’s needed for carrying goods rather than people. Where seats, furnishings and sound proofing all take time to perfect, a panel van does not. 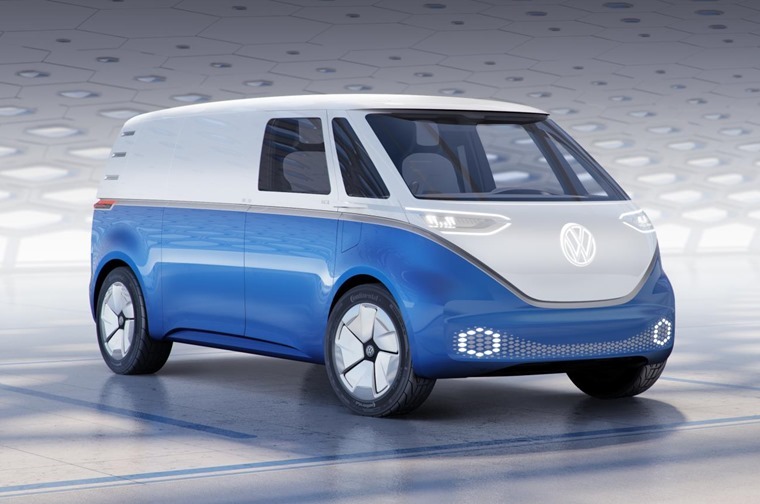 Added to that, VW can get the Cargo out there creating a buzz, if you’ll excuse the pun, and help generate more interest in the microbus model. Yet, does Volkswagen need to generate any more of a stir around this vehicle? Given the hugely positive response every concept on this theme has received and the clamour of eager would-be buyers, the only real question on this front is why VW has not got its corporate finger out of its exhaust pipe and built it already? 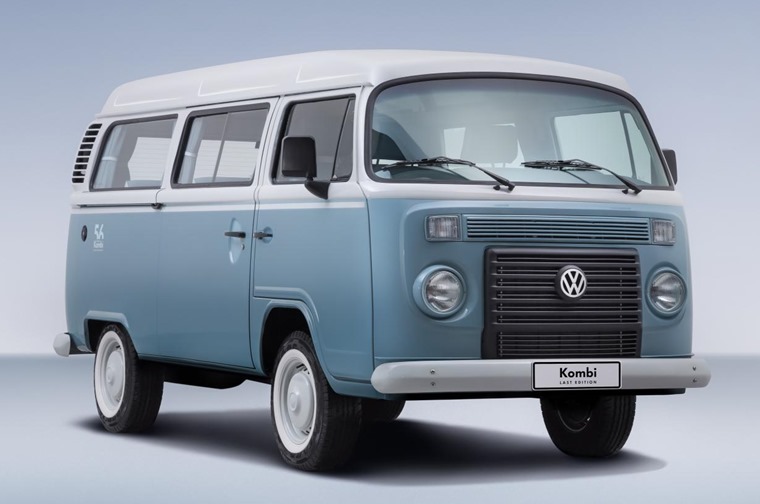 The original Kombi was being nursed along in production in Brazil for a market that had an affectionate love for the cheap and easy to maintain van. However, Brazilians were also tired of its crude nature and lack of safety kit. 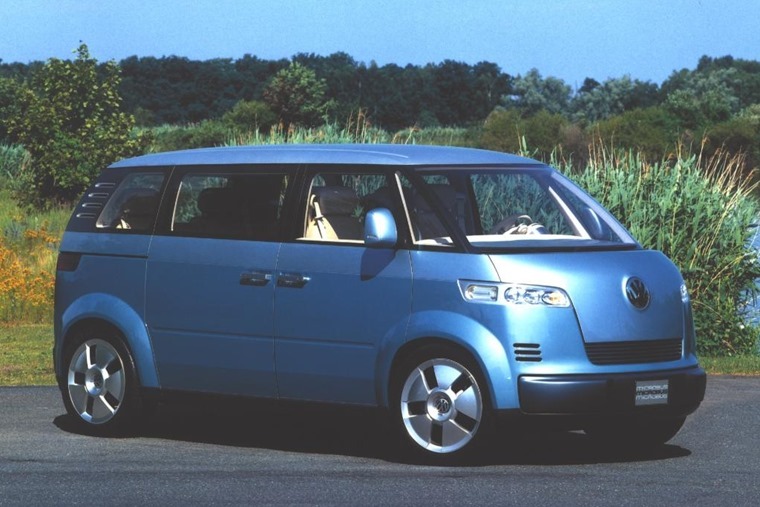 Waiting till 2013 to end Kombi production made some commercial sense, but not launching a new microbus is apparent madness when you look back to the 2001 Microbus concept that was confirmed for production in 2003 with a planned 80,000 units per year. The world breathed a sigh of relief and anticipation was rife as the Microbus concept looked great. It retained the look and spirit of the original but in a thoroughly modern machine. 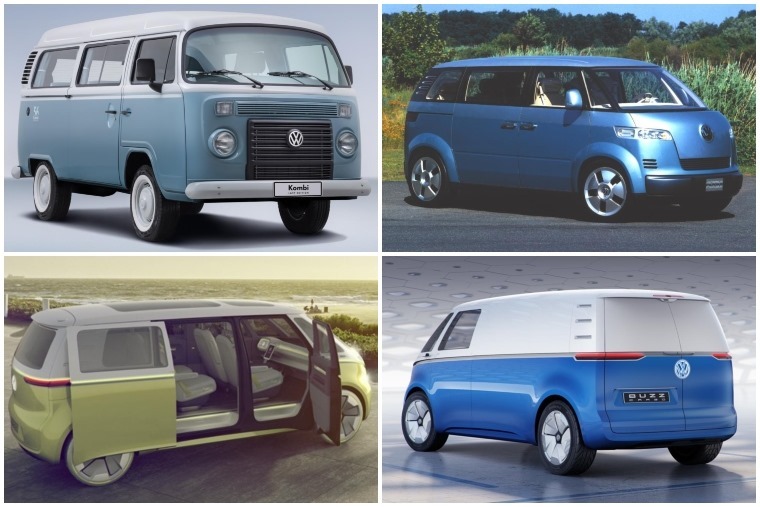 Then we waited… and waited some more... until, in 2005, Volkswagen told us the Microbus had been canned. It just didn’t make sense. Here was a vehicle the world desperately wanted and captured the whole retro-chic ideal in a way the 1998 Beetle had failed to, yet VW didn’t want to make it. It was based on the existing T5 van platform, itself a popular machine with commercial and passenger car buyers, so the costs were unlikely to have been excessive. 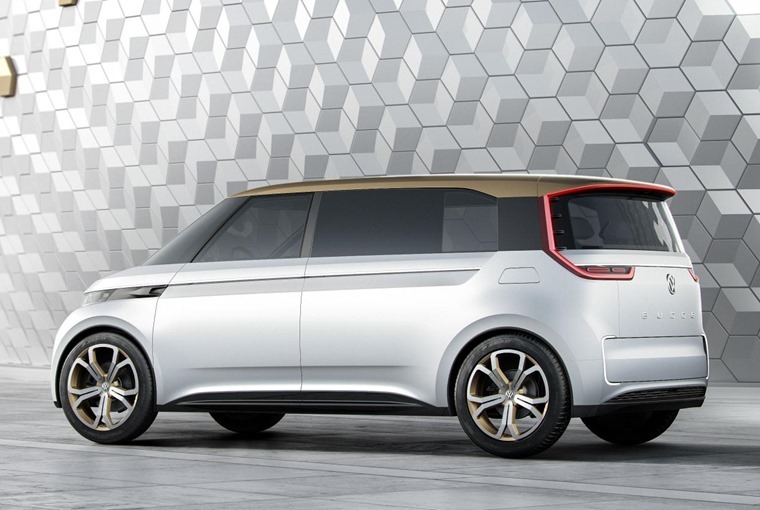 It was all very disappointing, but then in 2011 Volkswagen gave us the Bulli concept. And what a concept it was. Every inch the modern Kombi, it was a bit smaller than the 2001 Microbus, but that didn’t matter: it looked great and was the star of that year’s Geneva Motor Show. And then more silence. It was almost as if Volkswagen enjoyed teasing us. The danger here is they could have cried wolf-sburg once too often. After the initial flurry of excitement that greeted the Bulli, journalists and potential buyers alike gave up on the idea of ever being able to drive this car. Volkswagen was also in danger of missing the boat on the whole retro wave. Mini and Fiat had made the most of it and established models that were already expanding and developing into a much broader range. Meanwhile, VW’s Beetle just didn’t snare buyers’ imaginations in the same way, so what hope was there for a new bus? That seemed to be the general mood when, in 2016, Volkswagen showed off the Budd-e. Forget the cheesy play on the name, here was another potential Kombi replacement that came with battery-powered electric drivetrain to be bang on trend. You won’t be surprised to learn that nothing much came of that either, but 2017 heralded the arrival of the ID Buzz. This time, Volkswagen told us it would be going into production in 2020 and it would be full electric. The only downside to all of this positive news is the automotive world had been here before. Breath was exhaled normally rather than held in baited anticipation. But, and it’s a biggy, it finally looks like VW is going to come good on its promises albeit 20 years later than we’d hoped for. At last, confirmation from the very top and we have a clear pathway to production of a passenger model in 2022. That then begs the question of whether or not it will be any good. Having tried VW’s present range of electrified models, such as the e-Up and e-Golf, the signs are good for the way the ID Buzz should drive and its battery range. Like the Cargo model, top speed is likely to be limited to 99mph, which is no hardship, most vans are speed limited anyway, while performance should be strong thanks to a combined 200hp from electric motors driving all four wheels. There’s also set to be fast charging that needs only 15 minutes to top up the smaller 48kWh battery, while the larger 111kWh pack will need just 30 minutes to do the same. 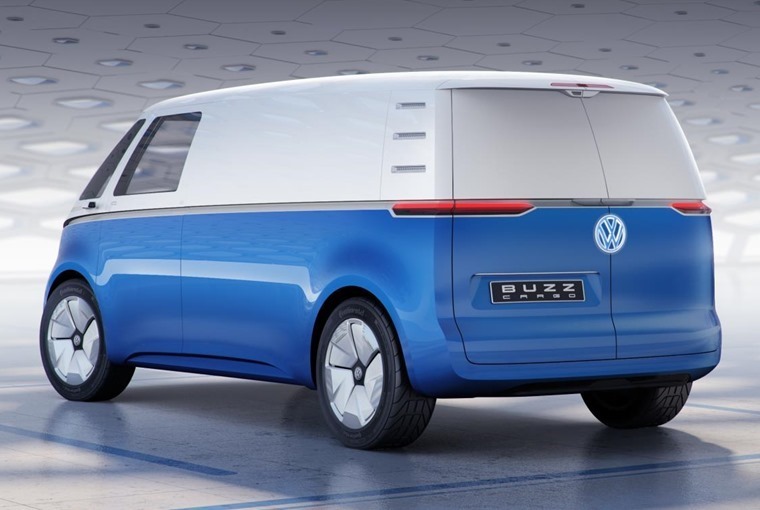 Just as importantly, insiders at Volkswagen have told us the finished ID Buzz will look very similar to the concept model. This is vital to balance the modern looks and safety requirements with enough of the retro style needed to link the Buzz with its ancestors.